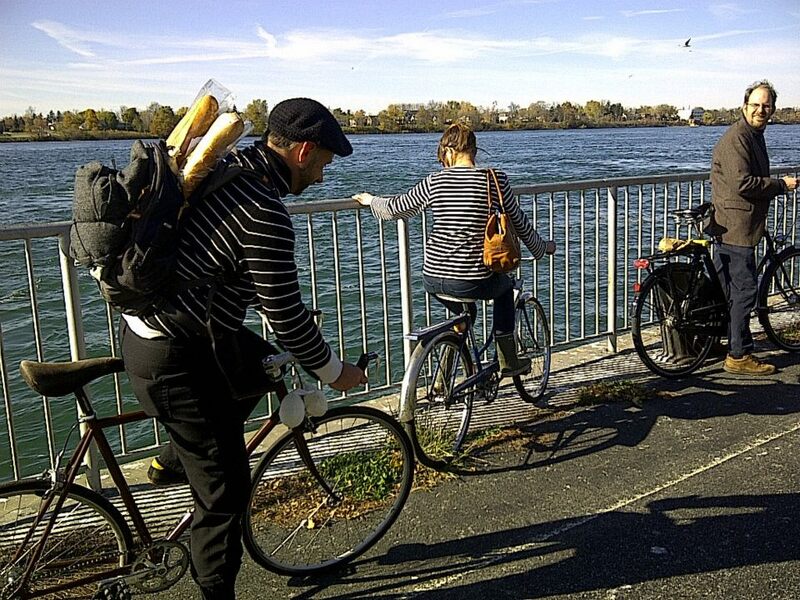 Missed the Buffalo Lazy Randonneur Club (BLRC) Tweed Ride this year? Couldn’t make it to the Seersucker Ride? Not to worry, fellow Dandies, the good folks at the BLRC have organized yet another cycling even for the dapper adventurist. The Johnny Onion Ride was first brought to our attention whilst the wife and I were enjoying a jaunty time on the Tweed Ride this past March. N0w, it is a well-known fact that Buffalo Dandy adores all things French, so to find out there was a French-inspired BLRC ride naturally piqued our interest… Time to bust out those berets, Dandies! The harvest season is upon us. Join the BLRC with an homage ride paying tribute to the Johnny Onion riders of northern France. 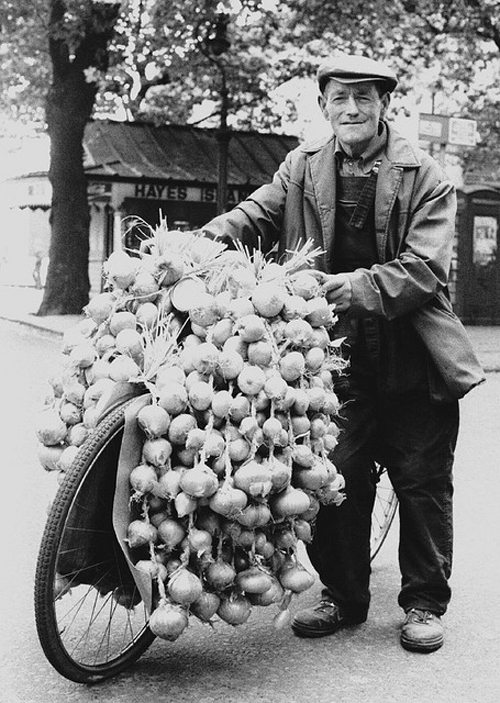 Breton farmers would tie their famous pink onion harvest to their bikes. They ferry to England and “pedal” their wares all around the UK. It’s an incredible tradition. Google Johnny Onion for more information and inspiration. We won’t ask of you anything so heroic. We do suggest you tie a few onions to your bike with twine and outfit yourself in french maritime or farming fashion. You know the drill, Navy and white striped “St. James” sweaters, or the kind with buttons down one shoulder, berets, neckerchiefs, Black,navy and brown woolens. Pea coats, barn coats, whatever strikes you as ostensibly “French”. We won’t be selling these onions however. Our tradition is to wend our way along the bike paths from the Naval Park (home to the Buffalo Ferry) to Delaware Park where we will make a giant stock pot of french onion soup over a charcoal fire. We will all be very pleased if it is as good as last year’s soup. If you like, bring along some white wine or brandy to wash it down… perhaps add a little to the stock!